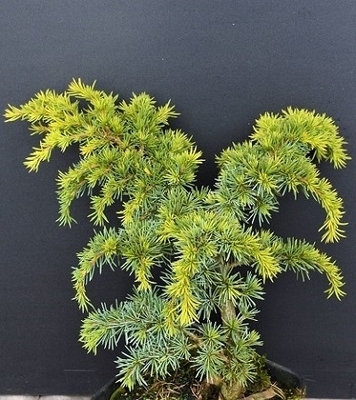 Comments: .A dwarf Atlantic cedar with light green foliage near the end of the short stubby branches and darker green to blue-green mature foliage. A mature 10-year plant may reach 4 inches high x 15 inches wide. Can also be staked to form an upright, dense pyramid.